A new tourism website has been launched to promote Mansfield district and its top attractions to both residents and visitors. Visit Mansfield contains details of things to do, places to eat, drink and shop, and reasons to visit the town. It is the first project as part of Mansfield District Council’s efforts to showcase Mansfield as a “great place to live, work, invest in and visit” – at the heart of Robin Hood country. 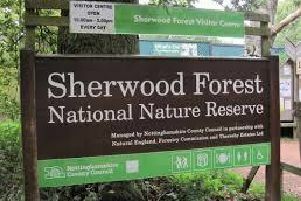 Councillor Dave Saunders, portfolio holder for regeneration and growth, said: “Mansfield’s unique selling point is it is situated in the heart of the Sherwood Forest area. “We are making a concerted effort to shout loud and proud about the great things our district has to offer. “This website brings everything together and gives people visiting the area a one-stop shop to help them plan what should be an exciting trip. The website will feature a guide for the town centre, including the Palace Theatre and Mansfield Museum, a map showing attractions within a 10-mile radius, and details of big events,such as the Christmas lights switch-on. The site also lists some of the top attractions within a short drive, including Chatsworth House, Clumber Park, Newstead Abbey and Rufford Abbey. It is more than 10 years since there was a tourism website dedicated to the district, and the aim of Visit Mansfield is to show all there is to do in the district and within a 20 -minute drive. There are suggested itineraries for how visitors may wish to spend time exploring Mansfield and the surrounding area – with ideas aimed at families, those that like to be active outdoors, people who enjoy heritage and activities for rainy days. The drive comes with several hotels in the pipeline in the area, with planning permission already granted for a Hampton by Hilton at Mansfield Town FC’s One Call Stadium. 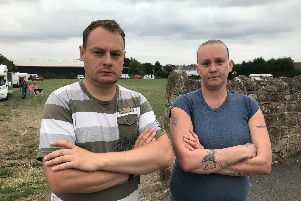 This added drive to improve tourism in the district comes at a time where several hotels are in the pipeline for the area, with planning permissions accepted for hotels at Field Mill and the old Gala Bingo.